Today we see MCX Gold are looking in great condition from yesterday. If we take data from yesterday then Gold has close at Rs 27626. Today it open green colour at Rs 27661 and goes high today at Rs 27693 and low at Rs 27651. 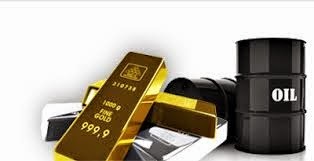 MCX Gold august future has been trade at Rs 27663 and it gained positive 36 point. And seen at MCX Silver, it really take high jump today from yesterday and also silver takes leed continuously . MCX Silver get leed above and move b/w 185 to 200 points. Silver previously closed at Rs 43786 and open at Rs 43964, today it goes high at Rs 44020 and low at Rs 43925. MCX Silver September future trade at Rs 43986 . MCX Crude Oil trade at Rs 6153 and it gain negative 5 point.